Artful Evolution showcases beautiful examples of coevolution and mutualism between Yukon insects and plants. In 2014 Misha travelled to Kew Gardens and the Royal Society of London, UK, to look at original illustrated plates and hand-carved woodblocks from 1650 - 1950. 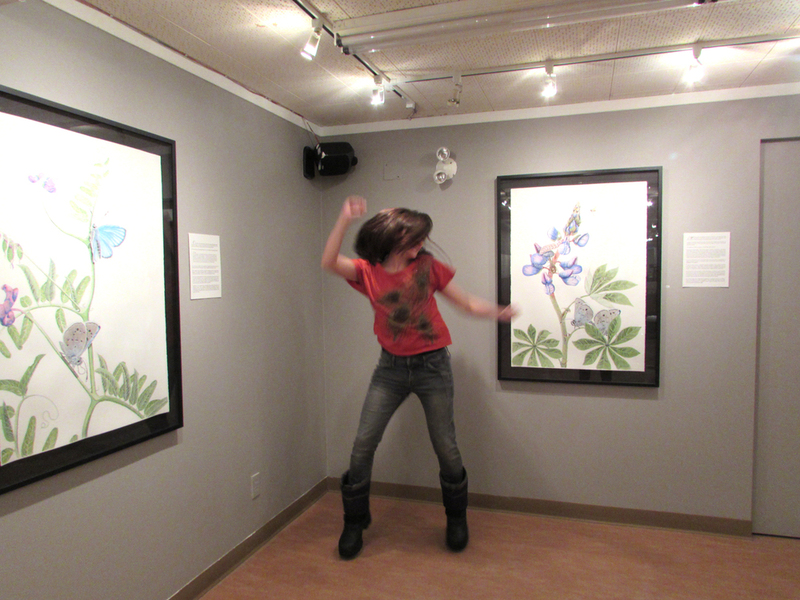 Misha created pieces of yukon plants that evoke the style of images appearing in the scientific literature of the day. The works embody a sense of wonder and discovery and, like all publications in the history of science, illustrate better what was not known about the natural world than what was. Many thanks to three amazing photographers: David Horner, Bill Bouton and Aniruddha Dhamorikar for providing reference photos in the development of the exhibition. You can purchase black and white or hand-coloured prints by contacting Misha. All prints have been hand signed. Group exhibition at Painters Art Gallery, Mona Vale, Australia. Group exhibition of environmental artists' syndicate, Artists of the Art Tree, at Manly Arts Festival, Australia. Group exhibition at Mauricio De La Rocha G fine art gallery, Manly, Australia.